Oh that is so hard for me. It is so hard for me to not let my mind wander and jump to all sorts of conclusions, because I am that girl. The one that jumps to the worst possible scenario or five steps ahead. (Can I get an Amen!) I have always been that girl, leaping ahead instead of just living in the moment. However, I have learned a few things about myself in these last couple of years. It won’t always turn out how you think. Ladies and gentlemen, this year didn’t turn out at all how I thought. It took a while, but I have finally found my sweet spot. After years of rolling around in a weird awkward tension of not yet, but already adult hood. I have found the spot where my soul is at rest. I started this year with the theme of REST, thinking I have been so exhausted trying to figure my life out. Trying to dream new dreams, have hope again after some major disappointments and despair over life. God did that and more, not only did he teach me to be at rest in him, but he also taught me how to wait for him alone and put all the longing onto him. God gave me strength to finish well, to finish strong, to go after things that I wanted and not deny that where I was at was not okay. He gave me permission to be confident in the skills and talents that he has given me, he opened the doors. He gave me strength to let go of insecurities and fears and run forward. As I stepped into a new role at work, and a new place to live, God stirred other things in my heart, he pursued me, he drew me near him, and showed me how much he loves me. Friends, never have I felt at ease with God as I do now. Not to say I have arrived, (I used to think that everyone else had and I would never) or that I have figured it all out, because there are certainly things that are still confusing and anxiety ridden. However, my trust in the one that knows how it all ends is stronger than ever. After reflecting this last month on how God has transformed my life and my heart, my heart is bursting with excitement to see what he does in this next year. I already feel it. His doing more than I can ask or imagine and I can’t wait. Oh, I serisouly can’t wait, to see the lives he changes, to see how he would change this world, bring justice, and peace. I can’t wait to meet the new people or find myself in new places. 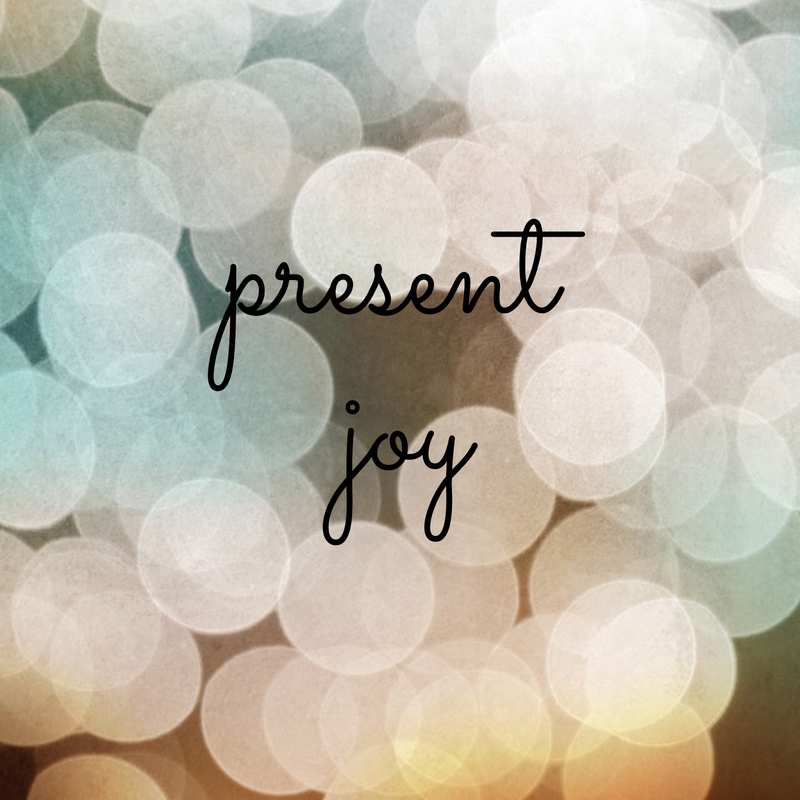 With all this to say, my theme for this year is to Be Present and to Be Joyful. Too much of the time, I spend in the past or the future, but I want to be here, right now, and leave the rest to Him. I want to be in the moment and really live for now, this time that God has put me in. I don’t want ot look back in 10 years and long for this time back too much or regret not enjoying it more. I want to know that I lived this moment, this season to its fullest. As for joy, God has renewed the joy within my heart in a myriad of ways and I want to share that with those around me. Joy of salvation, eternal joy, joy of a hope unseen, all of it! I work in a job that is easy to forget the joy, because it is hard on a daily basis and we need joy. We desperately need it and our students need it too! I want to be known as a the joyful one. I want to be known for my joy. Friends, my challenge to you is to set your minds and hearts forward in hope and joyful expectation in how much God can change in year. He is without bounds or limits, nothing is impossible for him.